Below you fill find all funeral homes and cemeteries in or near Swansea. Swansea is also known as: Lexington County / Swansea town. Zip codes in the city: 29160. Some of the notable people born here have been: Victor Riley (american football player). It was revealed by Ocala Star Banner on March 17th, 2014 that Edna Cecelia Hudson (Sturkey) died in Ocala, Florida. Ms. Hudson was 86 years old and was born in Swansea, SC. Send flowers to express your sorrow and honor Edna Cecelia's life. It was written by Ocala Star Banner on April 23rd, 2009 that Cassie T Nichols perished in Wildwood, Florida. Nichols was 89 years old and was born in Swansea, SC. Send flowers to express your sorrow and honor Cassie T's life. Swansea is a town in Lexington County, South Carolina County, South Carolina, United States. The population was 533 at the 2000 census. 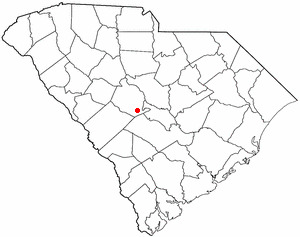 It is part of the Columbia, South Carolina Columbia, South Carolina metropolitan area Statistical Area. . . The official website for the city of Swansea is http://www.swanseatown.net/. We work with local florists and flower shops to offer same day delivery. You will find budget sympathy flowers in Swansea here. Our funeral flowers are cheap in price but not in value.